If there’s only one thingyou follow through with on this list, do this now! If you have an established business, chances are that your company is already listed and was automatically migrated from the old Google Places directory. If Google already has a listing for your business, you’ll need to claim ownership via verification call or postcard (with PIN number) from Google. If there isn’t an established profile and you need to set up a new Google+ Business Listing, you’ll have to establish a personal Google+ profile first. Then, you can set up a new business page/listing. Once your listing is set up or officially claimed, be sure to complete your company’s listing by adding a link to your website, categories, photos, and a keyword optimized description. By adding or claiming a Google+ Business Listing, you’ll have a far better chance of ranking in local search results, sometimes even above the organic search results. We’ve seen it happen time and again for our clients so go do this as soon as you’re done reading the rest of this post. While it’s vital to have your business listed on Google+ Local for Business (being that Google dominates search), it certainly doesn’t hurt to have your business listed on other reputable directories like Bing Local, Yahoo! Local, and Yelp. Last, be sure to include your website URL because each new listing provides one more backlink to your website (backlinks are good for SEO). 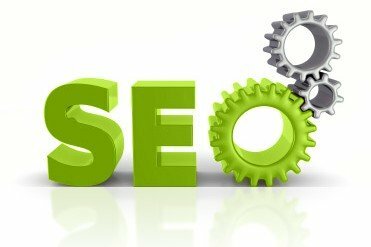 Be sure to check out our blog entry SEO Backlink Building Using Free Online Directories for more information on backlinks and for a list of the top free online directories. Get your company listed on Top Sage Resellers, an online directory created for Sage Partners and designed to put your business on the local search map immediately. Every partner listed on the Top Sage Resellers website appears on the first page of Google for their chosen Sage product and local region. Go to www.top-sage-resellers.com for more information. Adding a local address and phone number to your website is an easy way to boost your local search ranking. Many companies place this information in the website header or footer to ensure it adds a little local SEO juice to every page. Google recommends using a phone number with a local area code that matches the location of your business (and your Google+ business listing), rather than an out-of-area cell phone or toll-free number. Embed a Google Map on your Contact Us page to help visitors, and more importantly the Google Bots, find and verify your business location. Simply head over to Google Maps, type in your address, generate the HTML code, and place the code on your website. If you really want to crank up the local SEO juice of your website, you can add your location to the title tags on your home page and any other product-oriented pages. There you have it … 6 simple ways to improve your local search rankings. If you need personalized recommendations for your specific website or business, check out our GoogleJuice SEO Website Audit. Got some other tips to share? Feel free to leave a comment below and let us know what local search tactics are working for you.